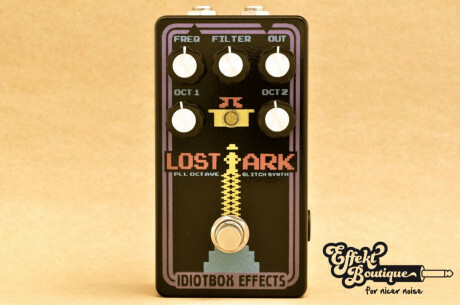 The Lost Ark is a no frills PLL glitchy octave fuzz. The Lost Ark is a no frills PLL glitchy octave fuzz. FREQ knob is pretty much self explanatory, the OUT knob is the main PLL output level control, OCT1 and OCT2 knobs control separately levels for one and two octaves down. The FILTER knob is where the fun starts especially when playing chords. This thing sounds killer on bass and guitar. You know you want to join the adventure!! !